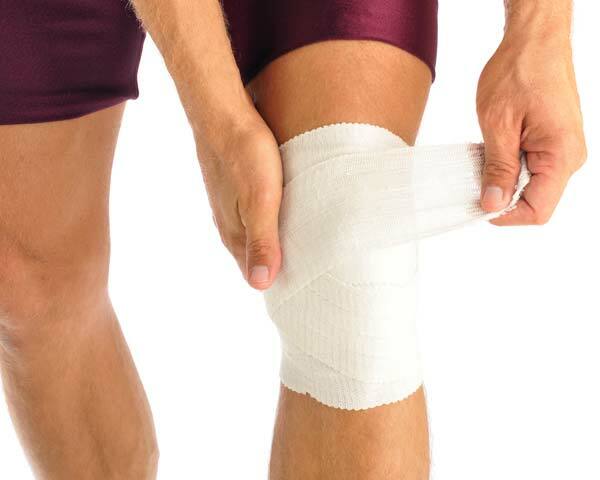 Articles What to do when you get injured? According to the Journal of Sports Therapy running injuries stand in the seventh place, after some team and combat sports. The statistics is based on injuries reported and treated at A&E departments. However, there are numerous minor injuries that do not require consulting a doctor. No matter how severe an injury is: immediate reacting is crucial. To be able to return to your running routine after a soft tissue injury like a contusion, strain, torn muscle fibre or sprained ligament as soon as possible, follow the RICE method. It will help to treat symptoms of pain, swelling, and haematoma, but will not shake of fractures in bones. If you think your injury is ready for a doctor, do not hesitate to pay him a visit. Common sense suggests that first thing you can do is to reduce weight to the place where the injury is, by lying or sitting down. If you continue a more severe damage is unavoidable. Take a couple off days off from running. If there is no other option but to carry on, slow down and walk. Try to cool the area with water. Wrap an ice bag or vegetables from your freezer in a piece of cloth and apply it to the injured area for 20 minutes. Wait at least 45 minutes before re-applying to avoid frost bite. Repeat 4 to 6 times per day. Another great thing is a massage with ice. Fill a yogurt cup till about half with water and freeze it. When it is frozen press the ice out of the cup, hold it with a piece of cloth (e.g. towel) and apply the ice with circular movements directly to the injured area. Massage it this way for about 5 minutes. This will limit swelling as well as provide support and minor pain relief. Use an elasticated bandage like Tubigrip. Be careful not to wrap the area to tight, you do not want to cut off the blood supply. If you feel throbbing or numbness, loosen the bandage. To reduce swelling, get the injured part higher than your hearth as often as you can. Prop some pillows under your limb. If you want to know more, check out our in-detail article about most common running injuries.